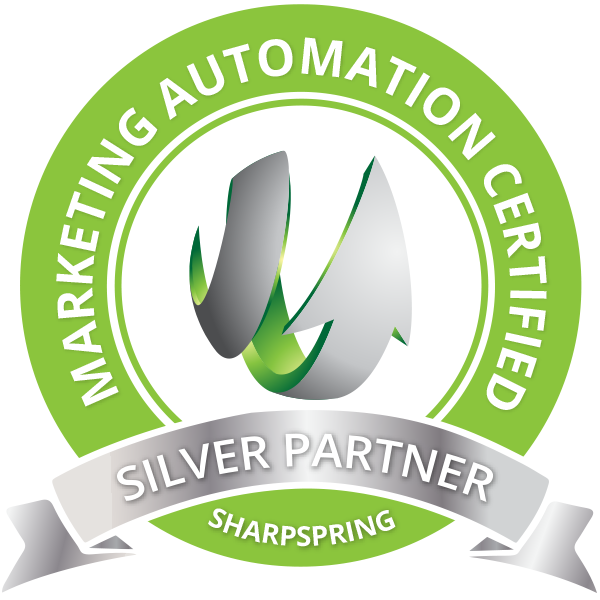 Sound Press is pleased to be a Silver Partner with SharpSpring, a leading Marketing Automation platform. Having experience with Hubspot, Salesforce’s Pardot, Infusion Soft, Act-On, and more, we chose SharpSpring mainly for the features to cost benefits. Some of the other marketing automation platforms have huge monthly software license fees that our clients have to pay. Sound Press can advise when a company needs to move to more robust platforms as sales teams and marketing needs increase of course, but the features to cost ratio of SharpSpring make that platform and our expertise in it, a real win for our clients. Even though we are certified in other platforms, and have vast experience in other platforms as needed for some of our client work, we recommend getting on SharpSpring for the best ROI. That being said, it’s not about the platform. It’s about the people using the platform towards growing a business the right way, with the right marketing expertise, and understand of technical details, email systems, content writing, design, pipeline structure, lead scoring strategy, workflows, and consulting that yields success. If you’d like to know more about the business growth power we’re helping clients realize with marketing automation with us, fill out this contact form or call Josh Chapell, Sr. Project Director at Sound Press direct at 513-400-8303. With our breadth of expertise and services, we'd love to start a conversation about how we can help your business grow.